Studio Twenty 3 is the only Private Personal Training space in Chandlers Ford. We have a great reputation for providing the best place for anybody to achieve their health and fitness goals. All of our clients receive a Complimentary Consultation, a dedicated fitness coach and all the tools they need to achieve their Health and Fitness goals. If you’ve found yourself piling on the pounds, you’re not alone. But even if you’ve failed with other healthy living strategies, you shouldn't throw the towel in just yet. At Studio Twenty 3, our team of experienced PTs have helped hundreds of Chandlers Ford residents turn their lives around. And we’re ready to help you too! Our personal trainers in Chandlers Ford believe feeling confident and happy in your skin is the least you deserve. No two bodies are the same. As such, your health and fitness strategies should be tailored specifically to your unique goals and targets. At Studio Twenty 3, we provide several services to help maximise the speed and overall quality of those progressions. For more information, head over to our services page. Our personalised training plans are built around your goals, current levels, and life commitments. Essentially, this is your key to finally sculpting the body you deserve with quick and lasting results. And with the option to take up 4, 8, or 12 personal sessions per month, you couldn’t ask for any greater levels of control. For many, the support of friends and other fitness enthusiasts can provide an extra motivation tool. 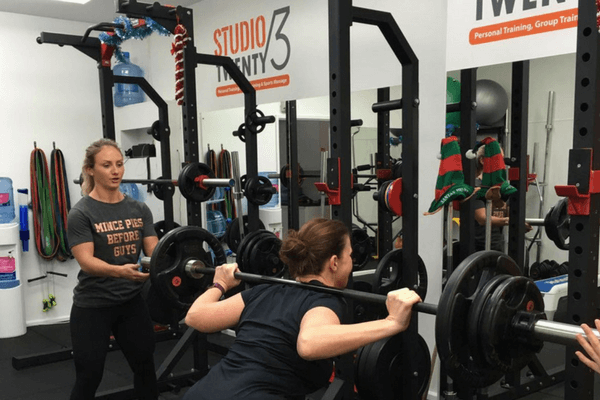 At Studio Twenty 3, we also offer small group training sessions where up to six clients can take advantage of a group session. At just £10 per person per session, it’s the perfect addition to take your body transformation to the next level. It’s always more difficult to lose weight or pack on muscle when injuries set in, but our sport massage service is the perfect antidote. Book regular sessions with a sports massage therapist to relieve tension, relax muscles and improve sports performance. Got an injury? Check in to see if our therapist can help you. 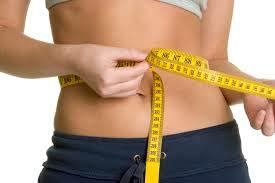 FREE Body Transformation Session worth £99. Show you 5 easy steps hundreds of people have taken to lose weight for the last time. Enlighten you on the best 'bang for your buck' exercises to burn fat for up to 72 hours post exercise. Explain why every diet you have ever done hasn't worked! Teach you life long skills that will leave you wondering why you haven't applied for this sooner. Ultimately, our only target is to help people like you rediscover the confidence in their own bodies. Whether that’s losing a few excess pounds or toning up to achieve their peak physical fitness. We’re fully committed to making your dreams become a reality. You already have everything needed to achieve those goals. We’ll provide the supportive hand to ensure you accomplish them in a fun, rewarding environment. We appreciate that modern life is challenging, which is why our plans are built to fit around your existing lifestyle. With the help of a fun, engaging, and supportive environment, getting fit won’t feel like a chore. You’ll learn to actively enjoy the process. Meanwhile, the knowledge of our trainers will equip you with all the tools needed to keep the progress up on a permanent basis. Whether it’s regaining confidence, fitting back into your best dress ahead of the big party, filling the sleeves of your t-shirt or feeling fitter, it doesn’t matter. Studio Twenty 3 is the only outlet you need to regain total control. You’ll feel like a brand new person in no time.